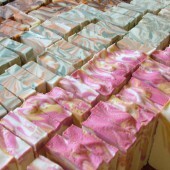 Colorants add a beautiful look to handmade soap. Before getting started, it helps to know which ones work best for your recipe. Learn more about Bramble Berry colors below. What type of colorants does Bramble Berry carry? 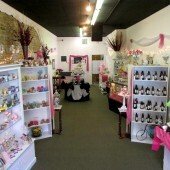 We carry pigments, micas, LabColors, and color blocks. They’re skin safe and can be used in soap and cosmetics. Does Bramble Berry carry natural colorants? Pigments are considered nature identical. That means they’re the exact same chemical structure as the platelet minerals found in the earth, but they’re created in a lab to remove impurities like lead and arsenic. Industrywide, they’re considered natural because they don’t contain synthetic dyes. Learn more about natural products here. Some micas are considered natural and some aren’t – it depends on if they’re made with FD&C dyes. Coral Mica contains FD&C Red 40 Lake so it’s not considered natural, while Aqua Pearl Mica is because it’s made with mica, titanium dioxide, iron oxide, and chromium oxide green. Learn more in the Sunday Night Spotlight: Mica Colorants post. 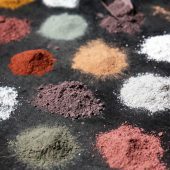 If you want colorants that are derived straight from the earth and not synthetically created, check out the herbs and botanicals section. 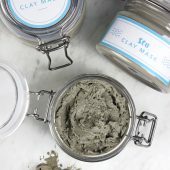 It includes natural options like spirulina, rose clay, tomato powder, and activated charcoal. What is a bleeding colorant? Bleeding colorants are usually dyes or FD&C colors that migrate into other layers of your soap over time. 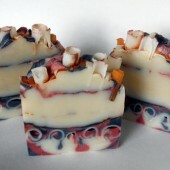 You can work the bleeding into your design, as seen in the Layered Lavender Cold Process Soap. If you’re not a fan of that look, make sure to use non-bleeding colorants. 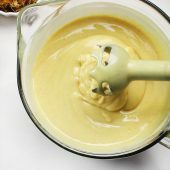 Mix 1 teaspoon of pigment with 1 tablespoon of a lightweight oil like sweet almond or avocado. If you’re making a larger batch, you can increase that to 2 teaspoons into 2 tablespoons, or 3 into 3. Add 1 dispersed teaspoon at a time at trace until you get a color you like. 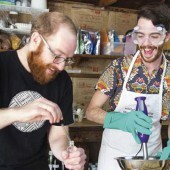 We recommend about 1 dispersed teaspoon per pound of soap. Mix 1 teaspoon of pigment with 1 tablespoon of glycerin or 99% isopropyl alcohol. Add ¼ teaspoon of dispersed color to the melted soap until you get a color you like. 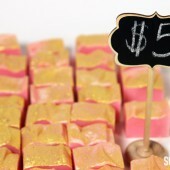 Add shavings of color blocks to the melted soap until you get a color you like. Color blocks are essentially super concentrated melt and pour, so they incorporate more easily into soap than loose pigments. Make sure to check the testing notes on each product page before use. Certain micas morph or fade in cold process soap. 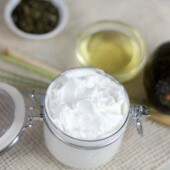 Mix 1 teaspoon of mica with 1 tablespoon of a lightweight oil like sweet almond or avocado. If you’re making a larger batch, you can increase that to 2 teaspoons into 2 tablespoons, or 3 into 3. Add 1 dispersed teaspoon at a time at trace until you get a color you like. We recommend about 1 dispersed teaspoon per pound of soap. Add the mica straight to the melted soap and stir well. If you see bubbles forming, spritz with alcohol and continue mixing. You can use up to ½ teaspoon per pound of soap. Mix 1 teaspoon of mica with 1 tablespoon of 99% isopropyl alcohol. 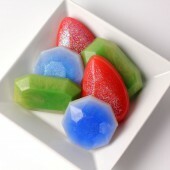 Add ¼ teaspoon of dispersed color to the melted soap until you get a color you like. This method helps the color mix in more quickly. They need to be diluted with distilled water and a preservative before use. Learn how to do that in this post. 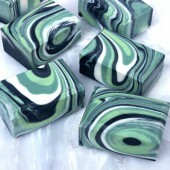 Using a dropper, add the diluted colors to fluid melt and pour or thin trace cold process soap. The usage rate depends on the color and how much it’s diluted. 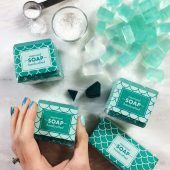 A good place to start is about 1/2 mL per pound of soap. LabColors work best with gel phase. Learn more about insulating soap here. Mix 1 teaspoon of the powder with 1 tablespoon of a lightweight oil. If you’re using clay, we recommend mixing with distilled water. Add 1 dispersed teaspoon at a time at trace. Check the product pages for usage rate suggestions. You can also infuse natural colorants. To do so, heat the colorant and the oil of your choice in a slow cooker for 1-4 hours or place in an airtight container and leave at room temperature for 4-6 weeks. Learn more about infusing in this post. Mix 1 teaspoon of powder with 1 tablespoon of 99% isopropyl alcohol or distilled water. 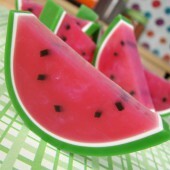 Add ¼ teaspoon of dispersed color to the melted soap until you get a color you like. This post was updated in June 2018. Hi there, I make cold process soap which I colour with blue powder colorant, try it with food blue colorant too. But both are turning in pink… I was thinking about the pH, but just want to know what I am doing wrong. Yes was the pH now they are turning in blue!!! It depends on the lavender you were using. 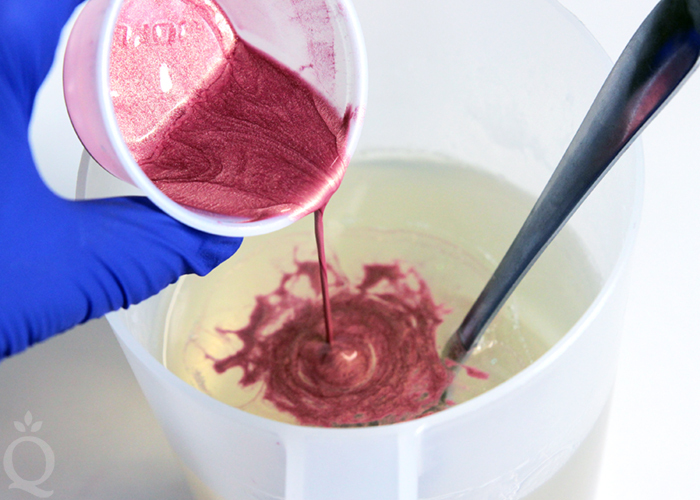 We don’t normally recommend using food colorants in soap because they can morph or fade when reacting with the lye. Hi there, I make cold process soap which I colour with micas. Is it natural for colour to come off when I use the soap when washing my hands or taking a bath (so the water gets a bit coloured)? Or should I be adding something to my recipe to ensure the colour doesn’t come off when the soap is used? Yes, the colorants will bleed a bit especially if they are a darker color overall. The best way to prevent bleeding is use no more than 1 teaspoon per pound of soap base. Hello there. I have a question the mica colorants…are those non-color depositing. Meaning can I add it tomy bath bomb and take my white puppy a bath with me and her not turn blueish? 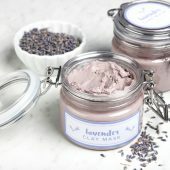 Do some mica powders and also fragrance oils work better in melt and pour rather than cold press? How would I know what I can use in melt and pour? Hi! 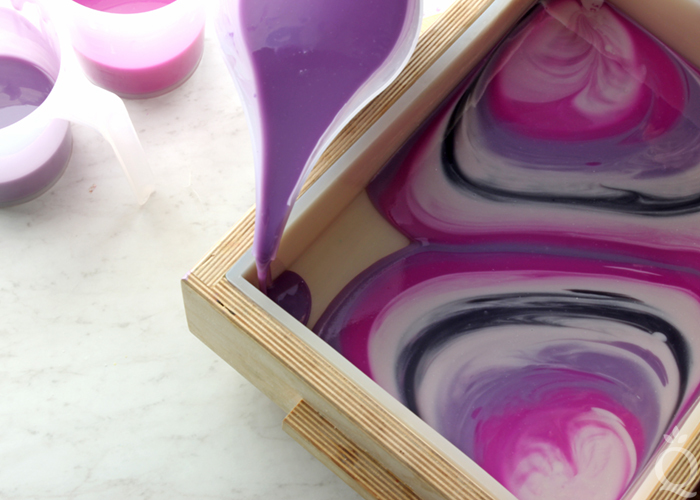 It might sound a little weird, but can I use liquid food dyes to color soap? I’m not sure if it is the same as other liquid dyes, or if it will rot, or what. Thanks! Using liquid food dyes would be safe though they may react differently in your soap. Some can fade or morph colors since they are not designed for soap. This has nothing to do with this post but it wouldn’t let me comment on the Midas Touch Bath Bomb. 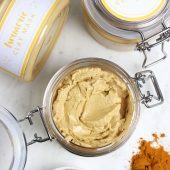 I want to make all natural products but Im not sure if I can classify my products as natural if I use the •King’s Gold Mica, Super Pearly White Mica, or Snowflake Sparkle Mica, I saw one post on here that said all mica’s sold by brambleberry are synthetic and another one in a comments section that listed some natural ones. Can you tell me if these three micas will make my products no longer all natural? The micas are nature identical but they are synthetically created. All natural is not a regulated term by the FDA, so we don’t have anything like that listed. To stay as natural as possible I would suggest to stick with plant based ingredients for color. Hello, could you please give a list of plant based ingredients for color that I cab buy at Bramble Berry? Here are some great plant based colorants that we offer! I am very new to soap making. 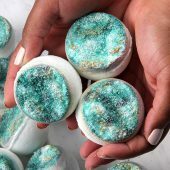 I was just wondering if you could dilute the color mica you are going to use, and put it in the mold before you pour and also if you can paint it on the Finnish soap to highlight the shape? The amount you use for your colorant is negligible in MP and CP and doesn’t need to be accounted for in your CP lye calculations. 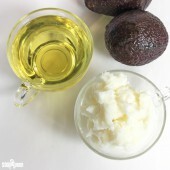 Alternatively you can borrow from your melted soaping oils to disperse your colorant, since it will be added back in during the soaping process. I used activated charcoal for the black and magenta, blue slushy, amethyst, and lapis blue micas. Right now it’s still in the mold, so I can’t see the final result (tray mold), but even if it looks ok, it was just a mess to work with. I did not use any water discount. One other question I have is about reds. With the holidays coming up I wanted to make some M&P soaps. I need to get some red colorant, but I’m so confused. a lot of the red’s I have seen for sale (not specifically BB) say that the red will migrate in both M&P and CP. That’s the last thing I want for my colored soaps. What would you recommend using? I made little cherries for soap cupcakes using the Brambleberry small ball silicone mold and red mica powder. I separated out a small amount of CP goat milk soap from a large batch and added lots of red mica to my little bit of soap (having read on Brambleberry’s website that the red mica fades in CP soap) until I got the color I wanted. 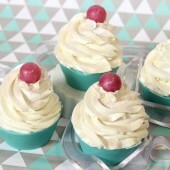 Now, however, after reading this post, I’m concerned that these soap cherries will bleed into my white soap frosting when I make my soap cupcakes. Should I ditch the soap cherries and start with a different colorant, or if they cure for a long time first will that help with bleeding? I’m also worried that the colorant may stain a wash cloth since I’m sure I at least doubled the suggested usage rate (although I didn’t really measure the amount of mica). Our Red Mica: https://www.brambleberry.com/Red-Mica-P6766.aspx is a non-bleeding colorant, so you shouldn’t notice any migration from the cherry to the rest of the cupcake. With the amount you used though, you may experience colored lather. Try a small test batch first and see what happens – if it colors lather, or stains your washcloth, then it may be time to make new cherries with less colorant. Cure time will have no effect on a colorant’s penchant for bleeding. Hi , can I add TD in Cp or Hp process ? If yes , when do I add ? Thank you for the amazing resources you have put together! Of course, we recommend adding all colorants dispersed and at trace. I made a pretty in the pot swirl soap. My first that I really like. Trouble is it seems the TD didn’t fully dissolve. Is the soap dangerous to use now? Quite a few specks throughout the whole loaf. The soap should still be safe to use. The only reason it wouldn’t be safe is if the soap was lye heavy. Titanium Dioxide clumps pretty easily so you can help prevent this by micronizing the colorant in an inexpensive coffee grinder before dispersing it in a lightweight oil. Thank you so much! There is so much to learn and I’m lovin’ every minute of it. You all are such a treasure trove of ideas, knowledge and of course scrumptious supplies, for us beginners! I have some Mica that was given to me by a friend . I make melt and pour soap. These colors are beautiful and I would like to use them. I’m not familiar with Micas. Do I put straight into the soap or dilute them? You can add the mica straight to the melted soap and stir well. If you see bubbles forming, spritz with alcohol and continue mixing. You can use up to ½ teaspoon per pound of soap. Or you can mix 1 teaspoon of mica with 1 tablespoon of 99% isopropyl alcohol. 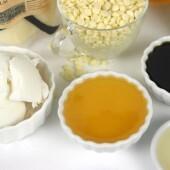 Add ¼ teaspoon of dispersed color to the melted soap until you get a color you like. This method helps the color mix in more quickly. Foaming Liquid Hand Soap; made with Castile Liquid Soap…. what is the best way to add color to this; for retail sale???? I have been reading the instructions for adding colorants to the soap, but somehow missed that it is one teaspoon of dispersed colorant per pound of soap not one teaspoon of powdered colorant per pound of soap. No wonder my soaps have had such deep, vibrant colors. I am wondering if this is why my soaps made with the mica colorants have retained some of their shimmer, is this possible? Yes, the more you add the more vibrant the colors will be. They may also have a bit of shimmer. The 1 dispersed teaspoon is a good place to start, but you can add more from there if you like. We recommend it so the soap doesn’t transfer color. Soapqueen.com taught me the trick to premix colors in oil years ago and I still use that valuable trick each and every week to this day. The only time I don’t premix is if I want a very thick trace and need to stick blend a lot. Thanks for all the training tips here! Hello I am new to soap making and I have a few questions and I hope you can help me with answering them. The rubbing alcohol does evaporate after you spritz it on. You do not need to label it on the ingredients list. 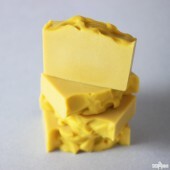 It depends on what ingredient you are talking about but typically soap has a shelf life of a year. You will need to use more lye than our recipe suggests, as our recipes are based on a 97% pure Sodium Hydroxide. 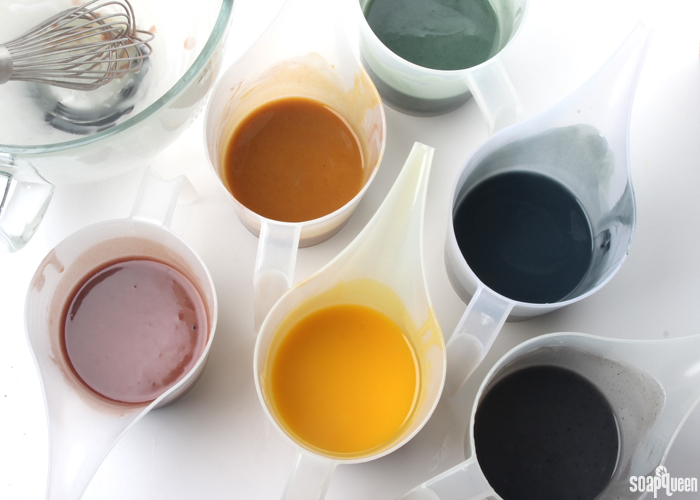 The oil used when mixing your colorants is extra but since it is such a small amount we don’t take it into account. I do like the opaque look of white Melt and Pour Soap, but don’t like the effect of the TD in it changing colors into pastel. 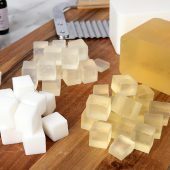 What colors can I use in clear Melt and Pour Soap Base, which would make the soap non see through opaque, but would be ending up true to the color I added. Oh, they also have to be non bleeding for my projects. Couldn’t find an answer to this anywhere yet, hope I didn’t overlook it. This is a great question. If you are looking for a more intense color, I would recommend using the clear but just using more concentrated color. With a white base the colors will always get lighter and more pastel like, so If you want to avoid this I would try the clear base. Keep in mind that if you use to much colorant you do run the risk of your soap having a colored lather. You can see an example of rich colors using clear melt and pour base this in this tutorial! You may also find our Melt and Pour Color Blocks to work well for you, they melt easily and result in bright colors! So you are saying that all colors make a clear MNand P soap opaque ? I understand I get more intense color with the clear soap but I do not want them to be clear anymore, I want them opaque not see through. All colors do that automatically ? It’s not a silly question at all! Not all colors will make Clear Melt and Pour soap more opaque, but using more color will help make it to become a little more opaque. Unfortunately there really isn’t a way to make Clear Melt and Pour 100% opaque, and white soap base will always result in a lighter color. I’m a newbie to soap making (cold process) and so far I’ve not been very happy with my color results. I want mine to look more vibrant/richer color… more like the color I see at the start before ever mixing the oxide pigment into the soap batch. The problem is the various instructions are conflicting (website, videos’, book, etc). On your bramble berry website it reads, “add ½ teaspoon of oxide to 1 ounce of a carrier oil like Sweet Almond or Olive Oil and mix well using a mini mixer – add 1 teaspoon of this mixture to your batch”… doesn’t clarify the size of the batch. 1 Tsp per Pound CP? Then there are warnings not to use too much pigment colorant else could have color come out while using it. At least one videos said “what you see if what you get”… but 1 tsp just isn’t making a nice color. 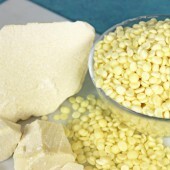 Then on comment just above mine here seems can use up to 5 – 6 tsp per pound. That’s quite a range… 1 tsp up to 6 tsp. Anyhow since I’m actually purchasing the stuff from your website it sure would be nice to have more info in the product description. At this point I’m confused and want to get unconfused as quickly as possible so I can start being happy with the colors of my soap. HELP! It sounds like you are using cold process. One tsp per pound of cold process soap is a good place to start, but if this is not enough color you can add more. There is a certain point where you will get a colored lather, or start seeing color in your sink or tub. While there is no exact amount where this starts happening due to all the variables involved with soapmaking, I would not go above 5 tsp. of colorant per pound of soap. 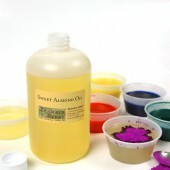 Ultimately, use the least amount of colorant while still getting the color you want. This is generally around 1-2 tsp per pound of soap. You may find this page helpful! Thanks so much for all the great info. I have been doing lots of colorant testing lately,I’m down to 1/4 tsp mica per cup and 1/8 tsp of most oxides per cup of soap. Most lather white but as the water rinses off the soap into my white sink I can see it’s tinted with color. Is this normal,it’s driving me nuts. If I use any less colorant I will be working in only pastels. I usually disperse my colorant in oil then add it to my broken out amounts of soap. But I’m finding things like pink neons and blues,brown and black seem to give off color no matter how little I use. I would love some bramble insight,thank you! 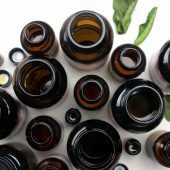 While you can add micas directly to your oils, you may want to try dispersing your micas first. We like to disperse 1 tsp of colorant into 1 tablespoon carrier oil. This may help with the colored lather you are experiencing. 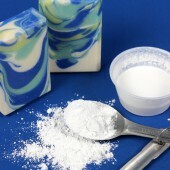 For cold process soap, start with 2 teaspoon of colorant per pound of soap. You may find this blog post helpful! Thanks so much! do you have a max usage rate for oxides and pigments as well? While there is no official max usage rate, we normally don’t go above 5 or 6 teaspoons per pound if soap. You may also find this video helpful! Usually you do not need to work it into the recipe because it is not enough to make that much of a difference. It will just slightly raise your superfat amount. It depends on how much you’re needing to use for color. 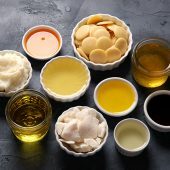 If you’re using many colors and will need a lot of extra oil for dispersing you may want to think about taking it from the oils already in your recipe. 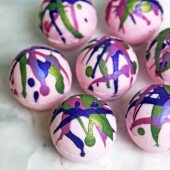 I am making some solid bubble bath balls (NOT bath fizzies or bombs.) Would LaBomb be the best colorant to use? Solid bubble balls like these ones? 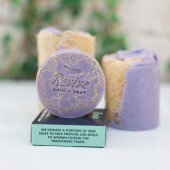 https://www.brambleberry.com/Solid-Bubble-Bath-Kit-P5597.aspx Or something different? 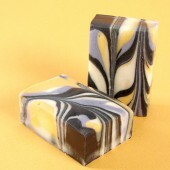 I recently made a cold process lovely black and white soap. When I used it, the black colorant was all over the wash towel. I’m assuming that I used too much colorant. But I’m wonder if it will always happen when using black pigment or did it just use too much black colorant? Sounds like there was a little too much colorant in your soap. Which black colorant did you use? We suggest starting out with one tablespoon per pound of cold process soap for most colorants. As long as you don’t add too much colorant, it won’t come off on the wash towels. i will send pictures to you soon .. But let me tell you about our weather , its hot ,dry and wet , did that weather affect on my soaps??? The weather should not affect the coloring at all in your soaps, and if you have a picture, we would love to see it so that we can help you troubleshoot what is going on with your soap! You can send it to us at info(at)brambleberry(dot)com or send us a PM on Bramble Berry’s Facebook page. Mmmmm maybe i used more than half a teaspoon (one teaspoon with 6oz):/ is this wrong? How much oz equals 1 lb? You definitely used a good amount for your soap. If you could tell us a little more about the recipe that you were working with we can try to help. Did you leave your soaps out in the sun? Sometimes if they are left out, the color can begin to fade and we recommend using the UV inhibitor in your melt and pour soaps to prevent that. P.S. There is 16 ounces in 1 lb. 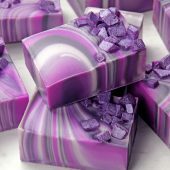 Hi , i use (amethyst purple mica from brambleberry ) in m&p soap !! What is the usage rate that you are using? 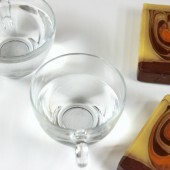 We’ve found for melt & pour soaps, that 1/2 a teaspoon of mica per pound of soap is a great usage rate. Are you adding anything else? And did you mean by (light needed) that i have to store them in a light area?or what? Some micas can morph in cold process and low usage rates of purple colorants can especially appear grey, even when using non-morphing colorants. Which colorant did you use? My oxides don’t seem to dilute completely either in liquid glycerin or oils, any help?? We are sorry to hear you are having some frustration with your colorants. If you could tell us a bit more about how your are dispersing them, we would love to help you troubleshoot. Are you making cold process or melt & pour? When making cold process, we like to use a bit of the oils from our recipe and disperse our oxides and pigments in it. Using a mini-mixer has really helped us out, and I would definitely suggest getting one if you don’t already have one. How much activated charcoal would you recommend putting in a 2# batch of hp soap being made to treat eczema? 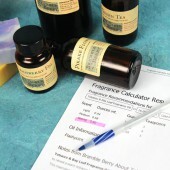 the Soap And Cosmetic Labeling Book by Marie Gale. I love making sugar scrubs but want more color options. I have been looking and reading everything I can regarding suitable colorants for oil-based products. It’s been really hard to find options. What do you suggest? It is really up to you on which colorant you decide! =) Just don’t add too much color or it can come off the skin/washcloth in the shower. I hope this helps, let me know if you have any other questions. There are so many posts, here, I started reading through them, but didn’t finish… sorry if you’ve answered this question before… I have people selling my soap (and lip balm and perfume, etc.) They are making claims that these are “all natural products.” That makes me nervous, because I don’t understand the definition of “all natural”. Can you give me one? Hi. I used oxide colour for the first time, and just used as much as I do with micas or spices….. now my bubbles are the colour of the oxide. I read your post and see that I was supposed to use way less colourant. Can I still use this soap? Will the oxides have a reaction to skin if there is too much? Thanks for your help, I love your site, best one I have read by far. You mention mixing titanium dioxide in an oil to mix into soap but I was just looking at your pumpkin puree soap instructions and you mixed the powder directly into 1/3 of the batch after trace. It looked like it came out fine. Please can you explain why would you mix it in oil or just mix directly to a traced batch? 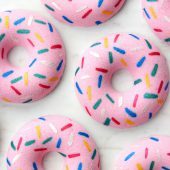 Thanks for your patience in answering the soaping community’s questions. Hi There. I made a chocolate and orange CP soap. The chocolate part (used your dark chocolate fragrance and cocoa for coloring)turned out fine, but the orange part ended up looking weird…sort of crackled or streaked and has a clearer, opaque look surrounding every chocolate glob. I was intending the soap to have a spotted horse look, so I mixed the soap pretty thick and put it in the mold in spoonfuls without swirling. I used 1 oz. per PPO of sweet orange EO ( 2 1/2 oz.) mixed with 1 T cornstarch and 1 tsp. per PPO of titanium dioxide (2 1/2 tsp) mixed into about 1 T. or less of glycerine to try to whiten the orange soap some. I’m thinking this has something to do with the titanium dioxide because I put some in some other soap to have a white contrast top and it also has that same crackled look but not as bad. I bought the titanium dioxide from you and I thought it was both oil and water soluble. Any suggestions or help would be appreciated. I could send you a photo if that would help. I think the soap is fine to use and smells exactly like a tootsie roll but wish it didn’t have that weird look to it. Thanks! It’s the heat – glycerin rivers is what I call it – if you decrease the heat when you’re making soap, it will help decrease these lovely glycerin rivers. Thanks for the reply Anne-Marie! I kept my oils and lye water pretty cool-around 100 degrees because I didn’t want to “fry” to orange essential oil. I have been putting my 5 lb. block on a heating pad (set on medium) for and hour or two and also have it wrapped in towels to insure gel. Was that too much? Would I be better off mixing the titanium dioxide and other oxide colorants in some castor oil instead of the glycerin? Thanks again! I recently made a soap with stripes, ultramarine blue pigment was used along with activated charcoal. My suds are blue and black, is this bad for you or will it cause staining? 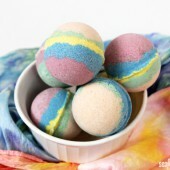 I am just wondering if the batch is ruined because of the colorful suds! Thank you so much Becky! Well, this was a little misleading! This statement is so false! All mineral pigments including the ones manufactured in a lab contain lead, arsenic, mercury and many other heavy metals. Any supplier and manufacturer of these pigments will tell you that. The FDA allows for up to 10 ppm of lead in mineral pigments although many in the market are known to contain up to 30 ppm. Checking the MSDS fact sheets will provide any user with this information. Manufacturing nature identical products keeps the bad stuff, like lead and arsenic for example, to legally allowable levels. Thanks for your thoughtful comment. Always great to get constructive feedback. Oxides and pigments are considered natural colorants. At one time in their existence, they were mined directly from the earth. However, anything mined from the earth tends to have heavy metals, like lead and arsenic in them. 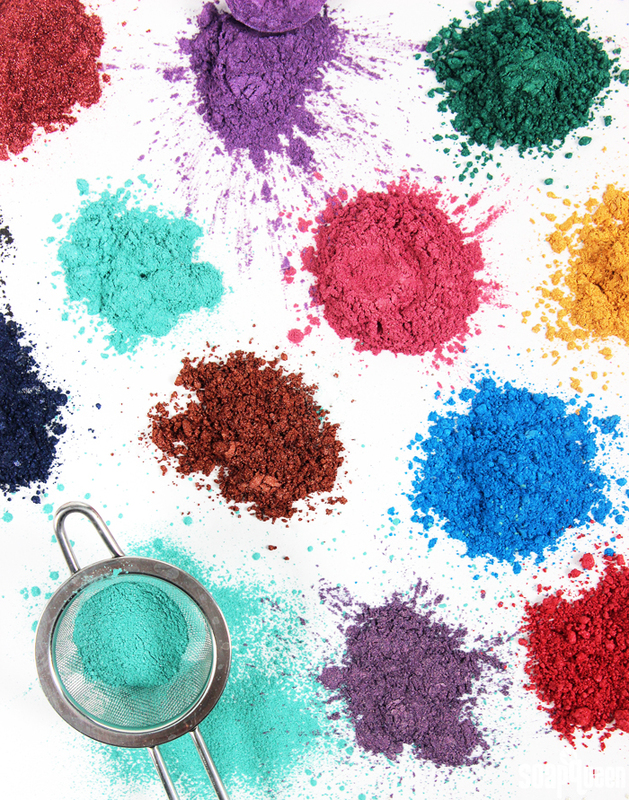 Thus, most of the pigments and oxides on the market today are manufactured in labs and are natural identical to what used to be mined from the earth. The colorants are considered mineral and are derived from the oxidation of iron, with different colors coming from the different oxidation states of iron. According to the US Code of Federal Regulations (Part 21, Section 73.2250), natural iron oxides cannot be used as color additives in the United States. This is because lab created minerals typically have a higher degree of chemical purity and, as a crafting plus, are also more regular in size, which gives them a more even, bold color pay-off. 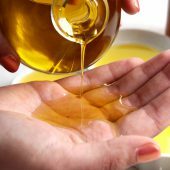 How much oxide do I add per pound of oils? I’m using brick red, burgundy, and green chrome for my Christmas soaps. It’s my first time using oxides. I’m having a hard time finding out exactly how much. I’ll be making five pound batches. P.S. If you do use the premixed with a carrier oil method, make sure to factor that into your recipe when using the Lye Calculator. Thank you so much for the help. My oxides will be here soon. I can’t wait to try them out. Brambleberry rocks!! I used your ultramarine pink along with titanium dioxide in a grapefruit HP soap. I added the pigment to the warm oils until incorporated. The color was perfect. Then after adding lye, tracing, and cooking, the color turned a drab gray color. I saved the batch by adding madder root at the end. What went wrong? That is always so frustrating when your colors don’t turn out the way you want it to. How much Ultramarine Pink and Titanium Dioxide did you use? Hi Becky, it was a 4lb HP batch using .5 tsp titanium dioxide and 1.5 tsp ultramarine pink. Side note: after cooking for about 20 mins, the soap also gave off a noticeable sulfur smell that I haven’t gotten with your ultramarine blue or chrome green. I have never ever seen Pink Oxide/Pigment/Ultramarine not stay stable. It was from Bramble Berry, right? And it was the gentle, sweet pink from this page: https://www.brambleberry.com/Ultramarine-Pink-Pink-Oxide-Pigment-P4039.aspx Was the color perfect AFTER you reached thin trace before you started cooking or was the color perfect when mixed with the oil? If it was just when it was mixed with oil, it’s possible it wasn’t enough. Sulfer smell happens with some of the lower pH pigments. You’ll get it if you use some pigments in bath fizzies too. It’s quite a shock in the tub! LOL! Yes, it was bramble berry’s pink oxide, the same one in the link you provided. I added it to the warm oils and stick blended till dispersed. The color was just right. Then I added lye to trace; the color was the same. Only after the cook began did I notice the gel portions, and eventually the whole batch, turned a drab gray. I’m shooting for a light, pastel pink, nothing super rich. It sounds like you may not have used enough. Pink Oxide and Violet Oxide both tend to go grey if the usage rate isn’t up enough. Generally, with traditional cold process soap, what you see at medium trace is what you get and in this case, if you add the colors and you’re happy with it but the soap isn’t fully traced, you aren’t seeing the final product (which is an opaque soap that needs extra color to over-color that natural white/cream/yellow/greenish tinge the soap can get uncolored). I hope this helps! That does help, thanks. I’m actually glad it’s as simple as adding more pigment. I was afraid the high temperature of HP cook was killing the pigment. I’m thinking adding the pigment to the lye water instead will give me a better idea of the final color. Are the pink oxide and ultramarine violet water dispersable? I have a chemistry question. I want to make a recipe that will stay thin for swirling purposes. I was advised by another soap maker to use “full water” so it is thin to begin with and start with no trace? Does this mean full water to increase water percentage when running through a lye calculator or decreasing superfat percentage. If increasing the water percentage what is a safe amount? Also I understand using a higher percentage of Olive Oil will help reduce trace time. Thank you your expertise is appreciated. I am really curious about the water percentage and can’t find any answers online. What is the recommended usage of activated charcoal per pound of oils? I don’t want to over do it and get black lather! Thanks much. Hi! I was wondering if it is “normal” to have oxides come out of the soap onto a light colored washcloth. I seem to haves this problem when using them. I tired dissolving in oils first but maybe I did not mix enough? Or maybe the color was too concentrated? They don’t seem to stain the washcloths but the color does linger there until the washcloth is laundered. I also am having problems with soap getting too thick before I can get to the color swirling. I am always afraid I haven’t mixed the lye and oils togther enough if it doesn’t thicken somewhat. I also get like a marbled look in my soaps like the pigments are not mixing properly with the oils or something and its unattractive. Is this a mixing issue? Any advice? Typically we find that when colorants are coming off on your hands, washcloth or body that the soap has been overcolored. What are your usage rates for your colorants? Is there any reason you can’t mix up larger amount of the oxides for CP colors with the carrier oil and store in sealed jars until you want to use them? Or would it be best to mix as needed? My question is in reference to lab colors…..I want to produce bright colors in my soap, not really neon colors but just vibrant colors, is that possible with the lab colors? For a 5 lbs batch of soap, how much color would I need to produce a bright color? Hi, I was wondering, if you are using bleeding dyes, is there anything you can add to them to help stop or even slow down the bleeding.? such as salt, white vinegar.? Thank you so much for your help. Sharon. What is the ratio of pigments/oxides to glycerin when premixing them? I would like to make liquid colors up in advance. I have your oxides and labcolors and really like them. Thank you for all the videos and information you provide to customers. 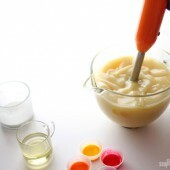 The best way to mix your colorants with glycerin is to mix 1/3 cup of the Liquid Glycerin with 1/2 teaspoon of colorant. Hi! Thank you so much for your marvelous videos, they are really inspiring, and make the Cold Process so much less scary! I was wondering, how do mix water soluble Titanium Dioxide, for use in CP? If you are using a water-soluble Titanium Dioxide in your Cold Process soap, you can still use the glycerin method. All you need to do is mix a bit of the Titanium Dioxide with a bit of liquid glycerin –1/2 teaspoon to 1 tablespoon should work just fine). Thanks so much for putting this information together, very helpful! I was wondering for melt & pour, how do you make your colors more vibrant and bright, or even almost a florescent color with oxides? I’ve tried using titanium dioxide and it makes colors more vibrant, but is there any other ingredients to make oxides brighter as well? Ive been trying to search around, but cannot find my answer. Thank you so much for your reply in advance! If you are trying to get darker and more vibrant colors in your M&P soaps, I’d add a bit more color or try a different base. 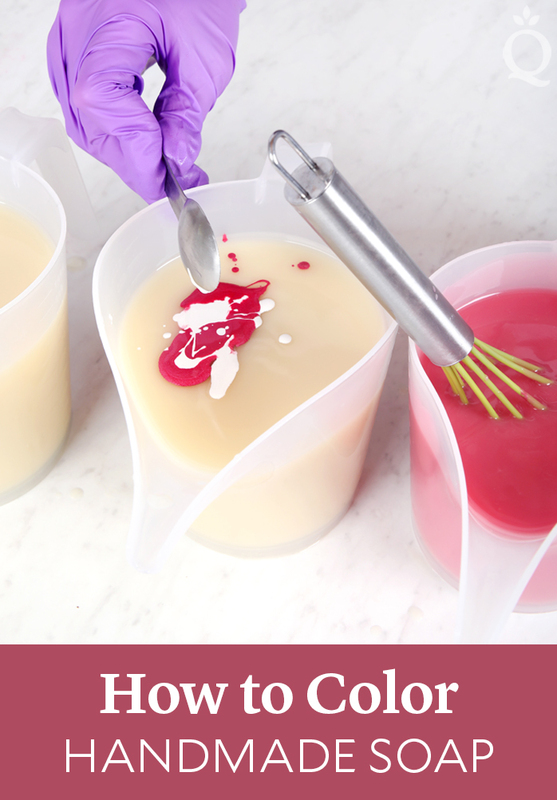 With the colorants, WYSIWYG (What You See Is What You Get), so you can add color to your soap base until it is the color you are aiming for. What melt and pour base are you using currently? Every M&P base will give a slightly different look with colorants, so I would experiment a bit and see which ones work for you! A couple of my favorites are the Goat Milk, Honey and Clear M&P bases. 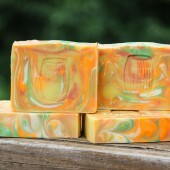 I WANT to bleed some colors into one of my soaps. I want to know how to make a cloudy look. Can you tell me? If you are wanting that cloudy-type look in your soap I’d try any of our pigment-based colorants! Hope you understood last sentence.. What I wanted to say is: I mix part of the base oil and pigment, put it in part of the batch and mix it in, then pour it in the main batch to make a swirl? Will swirl turn out too greasy? 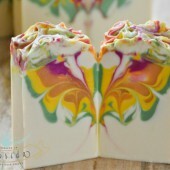 I would like to make pastel color swirls in my soaps with mineral pigments (oxides). 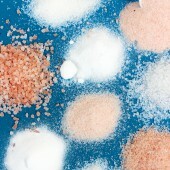 I have never used mineral pigments before, just natural colorants from my kitchen. Now I have ultramarine blue, yellow mineral pigment, red mineral pigment and titanium dioxide. So, I would like to know is there a chance that I will get violet color by mixing ultramarine blue and red pigment or get green color by mixing blue and yellow? Will i get nice pastel blue if I mix ultramarine blue and titanium dioxide? And yes, your advice is to put mineral pigments in oil. If I want to make a swirl, should take some of the base oil, mix it with part of batch where I put pigment and at a light trace just pour it back to the main batch? 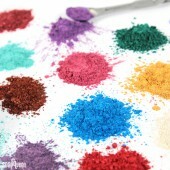 You can definitely mix the different pigment colors together to make new and exciting colors. It is so much fun to play with them and see what you can come up with. Swirling is so much fun, but it can be a bit advanced if you’ve never done it before. You can check out this great blog post by Kat from Otion in which she step-by-step explains how to do a cold process Linera Swirl. Hi Stephanie! Are you making MP or CP soap? If you are making CP, premix the titanium dioxide in your oil with a mini-mixer. Make sure it is fully mixed in or you may end up with glycerin rivers in your CP soap. If you are working with M&P, you can premix the titanium dioxide with glycerin. When using glycerin, try 1 Tablespoon of glycerin to 1 teaspoon of titanium dioxide (which is what we like to use for a good concentrated mixture). If you are still having problems, you can try a slurry with rubbing alcohol! Usually my soap turns out very white using the lightest oils, as well as milks (goats, buttermilk etc) I recently purchased some titanium dioxide as I have noticed that the color contrast is more prominent when swirling. However, with no instructions on how to prepair it for use I guessed at it. Everybody says to mix in (some) glycerin or (some) of your oils, but nobody says how much TD to mix with how much of your oils. I am make cp soap, and do not gel. I have premixed 6oz of glycerin to 6tbls of TD. 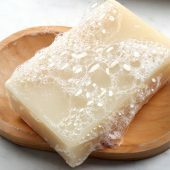 I have not tested it yet, and would like to know if I used the right ratio and how much per pound do I use in the soap? Typically we like to do 1.5 teaspoons of TD in 1.5 Tablespoons of lightweight oil for cold process. Glycerin is fine this time around, but you don’t want to use it all of the time because it can cause glycerin rivers. I am wondering is non bleeding colors are less incline to fade in sunlight? or do I need to use UV inhibitor as well? All the colors can fade in the light though I have noticed that non bleeders tend to fade a little less. Also, doing a higher usage rate also helps. I am pretty new to soap making. 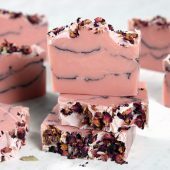 I am wondering what would happen if you used strongly-brewed Red Zinger herbal tea in place of the water in a CP soap recipe? Would it work to color the soap pinkish-red? Red Zinger contains hisbiscus, rosehips, peppermint, lemongrass, orange peel, “natural flavors” (?? whatever that means), lemon myrtle, licorice, and cherry bark. It smells wonderful and is a nice red color when brewed. I was hoping the soap would be colored and possibly even retain some of the fragrance of the herbs. What do you think? It works – but the soap doesn’t stay red. Teas generally go brown in soap (it’s the lye). If you want a natural colorant that’s a red, annatto seed can get you a lovely deep orange (close to red!) and alkanet root will get you to purple (close to red!). Madder root might be where you try with the natural reds. Hello! This is a timely article for me since I’ve recently had some colors morph unexpectedly when making CP soaps. 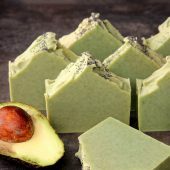 After reading this, I went through and pulled all my micas and checked them against your website to see if there are any issues with using them in CP soap. I did find a few of them do have issues so have written notes on the jars to remind myself. I have a couple of your micas that I can’t find on your site and am guessing they were discontinued. One that I used recently, Deep Blue Mica, morphed on me so I guess that one is not stable in CP soap (turned gray/beige). Do you know how Lavender Mica will perform in CP soap? I also have a Purple Oxide purchased from Bramble Berry and can’t find any info on it so guess it was discontinued as well. Do you know if there are any issues with this oxide in CP soap? Thank you for the articles and videos. I hope you will respond! Thanks for your question. We usually get all of our blog comments answered within 1-2 days. Thanks for being patient with us. The Lavender Mica and Purple Oxide have both been discontinued and neither of them are recommended for cold process soap due to morphing and fading (which we originally noted on the site). 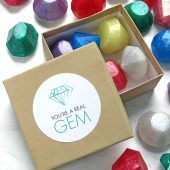 I took a peek at your website; LOVE your packaging! So pretty! I can’t thank you enough Ann-Marie for the first of what will undoubtedly be a great series! How DO you think this stuff up??!! Always coming up with new ideas to transfer your knowledge to all of us…awesome! I love that the info is all there in one place. I will print it out for sure. What’s even better is I always learn something from the post and your answers. Thanks so much for all you do. Thanks Ann-Marie for putting all of this information together. I consider myself color challenged with regards to cold-processed and CPOP soap. How do I take into account the oils used in my formula? I was reading the comment pertaining to the color of the goat milk soap and I recently encountered the same thing. I guess I didn’t realize this until it was too late. I was trying for a sky blue and ended up with green. Is there anyway, besides the water trick, to get the color that I’m looking for? 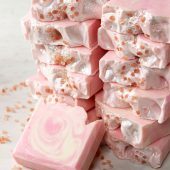 I once was making a non-milk soap and wanted pink, but ended up with orange? I’d love to see some tips and tricks for achieving the colors that I’m looking for. How would I go about testing my colorants in a particular formula? 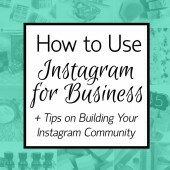 Thanks for the post, it does help when trying to match an idea to what products to use. I’m still questioning how to get a rich milk chocolate for M&P without resulting in a tub ring.. any suggestions? 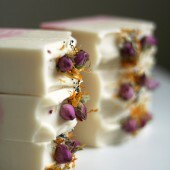 I began using pigments in my goat’s milk cold process soap. However, they are turning due to the yellow base of the soap. Our pretty pinks turn an orange, blues to green, etc… Any advice would be great! To keep your GM as white as possible, have you considered doing a 50% water discount at the front and then adding the additional 50% back in at the end (at trace)? 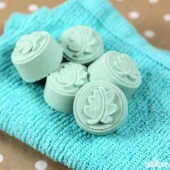 That would keep your soap more of an ivory and allow you to color your soap any color you wanted! =) Because, the sad answer that I don’t want to have to give you, is that counteracting the natural yellow of GM soap (the yellow is from the milk proteins scorching) is virtually impossible. I’m sorry – I wish I had a better answer. I’ve also run into the same problem using Goats or Coconut Milk; red Mica= Brown soap. Purple Mica= Brown soap. I love the creaminess Milk adds so would love to find a way around this color problem. 1) You mentioned 1/2 “water” before and 1/2 at trace. Did you mistakenly mean Milk? Or are you using 1/2 water, 1/2 milk recipes? 2) Should I dissolve the lye in Milk or add the milk at trace? The last two batches I did a full Milk/lye and a 1/2 water/milk and lye, I’ve never added at trace. Lastly, I would really like a red swirled soap and a violet/blue; I’ve had no luck with the two Mica’s, any other tips for obtaining these colors with a Milk soap. I have clays, oxides and many other Mica’s to use as colorants, along with a few liquid dyes. Your guidance and expertise is GREATLY appreciated! Thank you so much for the great questions! 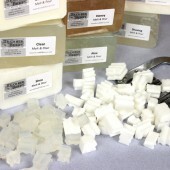 Anne-Marie is using 1/2 water and 1/2 milk recipes when she has made the goat’s milk soap. 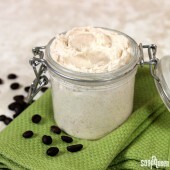 If you do 50% water with 100% lye in it and then add 50% milk at trace, you will get a more of a white soap. Thanks Anne-Marie! As always great information! Fantastic idea! I loved the examples of how to test for color bleeding and the list of BB colorants that do not bleed. Definitely will take the guess work to a minimum. Bring on all the info you have, having it in one place is awesome! It will be going in my soaping file. Thanks Audra =) And, thank you for your business! I so appreciate it. Fantastic post…think I might print it and stick it in my soaping notebook. Thanks so much and I look forward to this new series! I think this is a great idea-THANK YOU SO MUCH FOR ALL YOU & YOUR YOUR CO.DO. 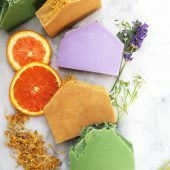 Sometimes you make statements about your products that seem a little unclear-i.e.”You can add a little castor to your soap for more lather” does that mean ALL soaps?, or add some palm to make your ‘soap’ harder, again would that be any kind of soap? P. S. Your BLOOPERS are so funny. Thanks for including those. He he, glad you like the bloopers. The videos are super fun to make. The team is AWESOME! This was a great refresher to read! Thank you so much! I generally stick with Pigments and Oxides for my CP as they seem to be the most reliant on colors. Plus you offer a great selection! Although your copper mica looks amazing in CP too! As for natural colors I do use several natural colors and find them to be a wonderful addition although some are known to fade over time. My best success is with Cocoa Powder, Active Charcoal(also has amazing detoxing benefits! ), and liquid annatto(this stuff is powerful!). P.S. When mixing my oxides with oils I generally use some of what I would have used for superfatting. Seems to work great, especially with your cute mini stick blender you sell! Love it! I love Copper Mica in CP – and when the soap is wet, it’s such a beautiful sparkly look. 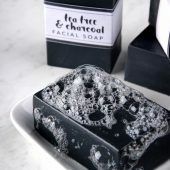 Cocoa powder does make for a great soap and I love the deep black you can get without the black bubbles with charcoal. I made some beautiful brown bath bombs with cocoa butter using the cappuccino mica. Looks great until the ring in the tub. I didn’t see a brown in the labombs….any suggestions? Any color used heavily will leave a ring in the bathtub if there’s any oil in the tub. Cappuccino mica is actually better than an oxide =) Even Labcolors will leave a ring if there is too much color used. That said, LaBombs are really strong and you’ll usually get brighter colors from LaBombs than a mica. With the Cappuccino, use a bit less next time and that should solve the ring issue. 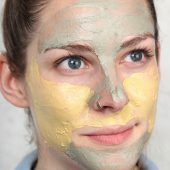 regarding the natural colorants, what effect do they have on the skin, i.e. 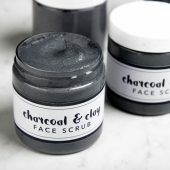 are the clays drying, is the orange peel an exfoliant and how about the activated charcoal? thanks so much for the info. you guys are the best! 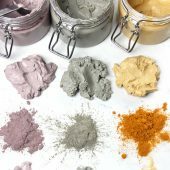 Clays are a bit more drying than a normal colorant – good question. Orange peel will be a little bit of an exfoliant. 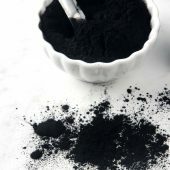 Activated charcoal might also be a little drying but not as much as clays. Any other natural colorants you’re interested in knowing about? Ask away! GREAT blog post! Thank you SO much! This will be so very helpful when choosing colorants for my soap. Love that it’s all in one place and now easily accessible! wonderful! When adding the oxides to the fixed oils in CP, is that oil part the original recipe, or is it additional oil when added? wow, Thank you so much! Being a newbie this has been huge on my mind. I need to read and re-read this info. can’t wait to hear and see more!